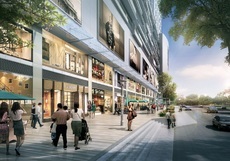 It consists of residential, Grade A SOHO, and Shopping mall. The Bridge, a luxury mixed-development project developed jointly by Singapore-based Oxley Holdings and Cambodia’s WorldBridge Land, has been topped out. Topping out the twin 45-story towers means the structure, to be used for commercial and residential purposes, is complete. Sear Rithy, CEO of joint venture company Oxley-WorldBridge (Cambodia), said the building is the nation’s tallest apartment complex. The Bridge Cambodia is the first and perhaps the last development which offers retail investor to invest in shop and restaurant. It comes with hassle free fully managed structure and offering high 70% rental guarantee over 10 years. Provides Corporate and Commercial, Litigation and Property services with offices in the ASEAN region. CONTACT US. Thank you for visiting RHB Bank Singapore website. Please use any of the following options for feedback or enquiries.